Hotel Maison Boutique – Why is it the best place to stay in Malaysia’s capital? Kuala Lumpur-The capital city of Malaysia and at the same time the largest town of this country full of contrasts. If you are planning to go to Kuala Lumpur, be sure to stay in the boutique Maison boutique hotel in the heart of this ever-bustling city. 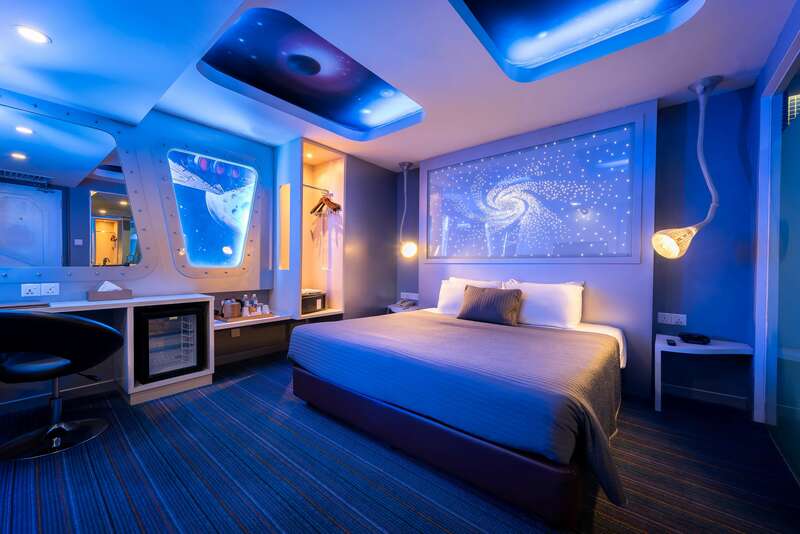 When checking in at this hotel you can feel literally like in a fairy tale or in another galaxy. You can also spend the night with the face of Marylin Monroe or the Volkswagen Garbusie. After entering the hotel, you’ll be greeted by a very spacious hall and reception, where the English-speaking staff is sitting at the desk. The hotel also has a boutique-style restaurant. The chef serves both local and Western dishes. Guest rooms at the Maison Botique are equipped with many activities and memorable experiences. Because each room is different and has a different décor, each of our guests will find something for everyone. Every room has very comfortable beds, so you can feel like you are in the clouds. The hotel offers rooms with a bath or shower. Each room has air conditioning and a wide, double bed. The hotel is located in the city center. Thanks to this location, the main attractions of Malaysia’s capital are at your fingertips. From here, you can quickly reach the iconic aquarium of Kuala Lumpur Convencion Centre, with over 450 metres of skyscrapers cloud, the Petronas Tower and one of the largest shopping malls, Bukit Bintang. You can also quickly get to the traditional Malaysian market, where you can buy original and unique souvenirs. When you are in Kuala Lumpur, you should stay here.